Visit Branson Without Breaking the Bank – Try the 1st Inn Branson! Branson has so much to see, you’ll want to start each day with a complimentary continental breakfast at the hotel. Each room offers guests a microwave, coffeemaker, and refrigerator, so the 1st Inn Branson is the perfect place for families and travelers on a budget. Pillowtop mattresses will have you resting in comfort after a long day of touring. Complimentary Wi-Fi and free calls make it easy to book show and tour tickets. Rates start at $65 per night, and all rooms can accommodate four people. The hotel is centrally located in Branson’s entertainment area, with many theaters within walking distance. 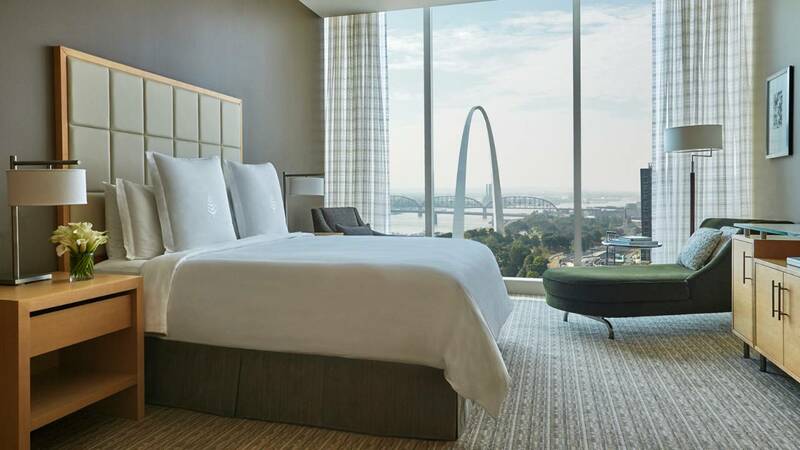 The Marriott St. Louis Grand Hotel is conveniently located near many of the area’s best attractions, such as the Gateway Arch, Busch Stadium, and the Lumiere Place Casino, as well as some of the city’s finest restaurants. Plush bedding, high-end bath amenities, and large rooms make this historic hotel perfect for anyone visiting the area. Free Wi-Fi, health club, pool, and two restaurants will help visitors enjoy their stay. Just two blocks from the upscale Country Club Plaza shopping district, the Holiday Inn Country Club Plaza in Kansas City offers basic rooms with rates starting at $120. A newly renovated fitness center and pool make it easy for visitors to stay fit. The hotel also offers a limited number of pet-friendly rooms and offers some perks like free Wi-Fi and free city shuttles to get you around. Billed as one of the most affordable three-star hotels in St. Louis, The Parkway Hotel offers free Wi-Fi, in-room refrigerators, and microwaves. Dogs under 50 pounds are welcome for a small additional daily fee. This is a perfect location for families visiting St. Louis, with the St. Louis Zoo being just three miles away. Several other family friendly destinations are nearby. This hotel offers a perfect location at affordable prices. Expect to pay $400 per night or more for one of the newest hotels in St. Louis. Rooms include plasma televisions with DVR, minibar, refrigerator, Wi-Fi, marble bathrooms with soaking tubs and separate walk-in showers. Enjoy the luxury of turn-down service and 24-hour room service when you treat yourself to this high-end location. 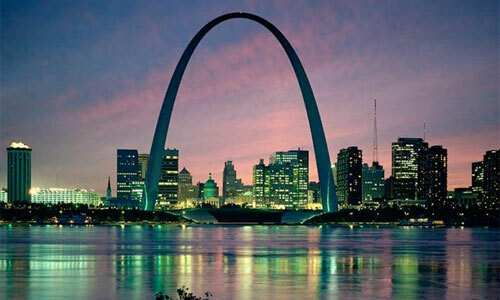 Located about a half mile from the Gateway Arch, the hotel is in walking distance of the Lumiere Place Casino and just minutes from the finest restaurants and nightlife of St. Louis. The hotel also offers a full-service spa, hair salon, rooftop terrace, pool, hot tub, poolside bar, fitness and business centers. This is a sponsored post. The blogger has been compensated for publication.